Poker pros are usually described as tight and aggressive players that won’t play many hands, but playing few, they always seem to have nuts. 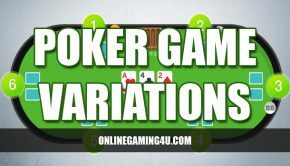 However, such description doesn’t describes the nature of a poker professional, so in this article I’ve tried to figure out four key skills necessary for an online poker pro. Poker professionals perfectly know the general probabilities of the game. This means that all hands at the table have certain probabilities that can be analyzed and calculated in mind. 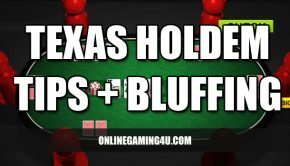 For instance, poker pros know that any player at the table has roughly 1 out of 8.5 chances to hit a set having a pocket pair and roughly 1 out of 3 chances to complete a flopped flush draw by the river. Poker professionals never underestimate the importance of outs – a number of cards that may improve your hand. Your goal is to count your outs, multiply the result by two and add one to calculate the percentage shot that you will have at hitting. Poker professionals can easily figure out pot odds. Calculating outs appears to be useless, unless you apply it to make rational, calculated betting. You must understand that basic mathematical skills are essential for a successful game. No, you shouldn’t be an Einstein to succeed, because the material is pretty comprehensive for anyone, but you must learn and train your mathematical analysis skills to play successful real money poker. Poker professionals never rely on luck – that’s what separates them from the rest of poker players and casino gamblers. Roulette, blackjack and craps players have to hope to get lucky, but a poker player must expect to win. That’s why it is important to rely on what you have in hands rather than luck. Poker professional knows that different poker games have different strategies and tricks, which are not applicable in other games. This rule is true even in different types of the same game – for example Limit Holdem and No Limit Holdem – that’s why you must always study the game before making stupid bets. Wise poker player always knows when its time to play and when it’s the right moment to quit. Disciplined poker player can easily recognize when he is on tilt and when the game is juicy, or worthless. Briefly – you must learn to stop, regardless of what your desires dictate you. Poker professional never says or thinks he’s perfect. Feeling of perfection blinds fools – they stop to learn and do weird things. There is always something to learn and perfect – don’t blame others if you lose – blame yourself for not understanding something during the game and learn from your mistakes moving on to success. Answering these questions is just the basic step, which is necessary for the following steps of evaluation of other players. If you know what your opponent has – you feel the game and if you know that your opponent knows what you have – you can bluff and trick him. Such psychology tricks are more applicable, when playing live, but some of these tips are useful in online poker rooms too. Any poker game is a battle of minds and your sense of other players can is a key to success in the majority of situations. It was already mentioned that online poker professionals don’t risk. However, sometimes they may risk, if the reward is higher than the risk. The key point of understanding the risk versus reward is to calculate the bank you need in order to grab the pot in comparison with your funds. If you are ready to spend this money for the game – the risk is worth it. Poker professionals learn to be more risk-averse regarding their total bankroll than their stack at the table. Playing an individual game, it is important to value each and every chip, equally at the table. The only thing to consider during the game is making correct plays. Entering a game with a $20 buy-in, a player must be okay with taking a 52% chance of doubling it up to $40. This means that you have a 48% chance of losing your buy-in. The only thing you must care about is your overall bankroll. You should strictly separate your gambling budget and “scary money” – funds you need for life and never overcome the limit. Keeping to these tips you will become a poker pro in less than two-three months. 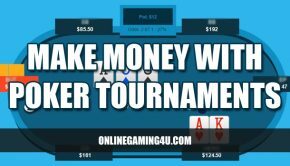 This article about the key skills of a poker professional is provided by Real Money Poker Guide, which deals with researching of online poker strategies in top online poker rooms.